I was flattered at the Poisoned Pen this week. 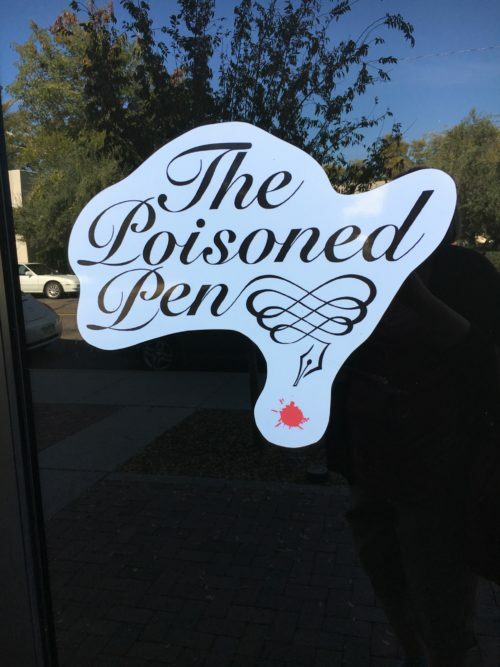 Kristan Higgins is one of my favorite romantic comedy writers, so when I heard she’d be at The Poisoned Pen in Scottsdale on a tour for her latest book, On Second Thought, I requested a day off from work so I could go down and see her. I live in Prescott now, but I used to live 90-plus minutes farther north, in Flagstaff. Consequently, I never quite remember how long it’ll take me to get down to the Valley. 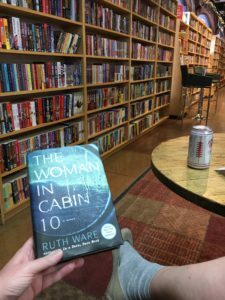 I arrived quite early for Kristan’s 2 p.m. talk, so I settled into a comfy chair at the bookstore and dove into my book club’s next read (The Woman in Cabin 10). It’s a page-turner, for sure. Of course, there were other people around, and I couldn’t completely lose myself in the book. Instead, I struck up a conversation with one woman who brought her dog and granddaughter to the store, not knowing there was an author coming, and decided to stay for Kristan’s presentation. Another woman pulled a copy of Gone with the Wind off the shelf, which was right by my head, and said something that started a conversation about the book vs. the movie. “No, but I’m here to see her,” I replied with a friendly/nervous laugh. I’d never been mistaken for one of my favorite authors before, and I didn’t know quite what to say. “Well, I’d better get out of here before she finds out what I’ve done,” the still-embarrassed woman said. Despite my protests that I didn’t think anyone would mind and she ought to stay for Kristan’s talk, the woman left. And I was left with a warm, fuzzy feeling that someone—for a brief moment—thought I was famous. Frankly, I don’t see much of a resemblance. 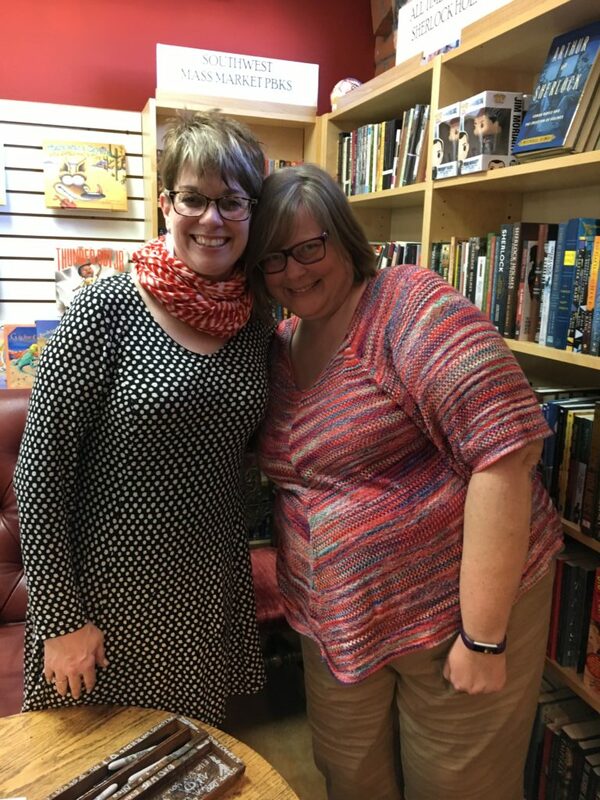 Here I am with Kristan Higgins at The Poisoned Pen in Scottsdale, Arizona, Feb. 8, 2017. Well, maybe the hair and the glasses are similar … and we both laugh a lot. She’s right. So many writers are introverts who’d rather be alone with their laptops, but I thrive when I’m in crowds. Even if I’m just sitting quietly, observing, I get energy from being among people. I think that’s why I do so much of my best writing at Starbucks — I can be social and recharge my batteries in the presence of fellow coffee lovers. I’ve been mistaken for worse! 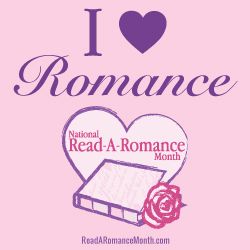 I was a reader of romances long before I started writing them. I remember plowing through the stacks of Harlequin and Silhouette books Mom would bring home from the library, secured with a rubber band. (Apparently, the library thought bundles were more appealing.) My couch potato self spent many a lazy Saturday devouring two or three category-length titles in one sitting. Ah, the overconfidence of the uneducated. Turns out that writing one — a good one, at least — is much harder than it looked. But once I started trying, I never looked back. I moved from Indiana to Arizona in 1999, and in 2001 won a radio station’s “dinner with a romance writer” contest. That’s when I met Rita Rainville, then a member of NARWA. I started attending the group’s meetings, joined RWA and discovered just how much I had to learn about writing romance. Finally, in 2011, I snagged the coveted title of Golden Heart finalist … a sure sign I was mastering the craft. I was on the verge of the big payoff — publication. Still, it eluded me until this year. Nowadays, it seems that I spend most of my free time writing romance instead of reading it. Whenever I get a few minutes not consumed by the dreaded day job, I feel the need to devote it to writing. Of course, I could have passed time reading any kind of book. And did. I read a lot of Stephen King as a high school freshman. Then, my sophomore year, I discovered Anne Rice and devoured everything of hers I could get my hands on. Romance offers that happy ending. It allows the characters the happily-ever-after ending they need. I’d much rather see folks I’ve come to know and love get what they deserve. Kristan Higgins, one of my favorite writers, put it much more succinctly in her post Monday. We read romance for the hope. Most people in life don’t transform, don’t have a clearly delineated character arc that blossoms in the space of a few weeks or months as the outer goal is accomplished. That’s what makes a romance novel so gratifying, and uplifting…and hopeful. They did it. They’re our role models, and it doesn’t matter if they’re fictional, so long as they walk the walk of someone who was stuck, and afraid to try something different, and risked it all for love…and triumphed. Do yourself a favor and read her entire post. It’s excellent — and just another reason to love Kristan. Okay, I mostly remember that we were staying on the same floor. I told her I loved her books. We commiserated over how the experts said rom-com is dead and declared we actually wrote funny contemporary romance … or something like that. Long live the funny contemporary! And long live romance. May it continue to offer everything readers need.